55+ resident owned, gated, golf course community. PET SECTION! 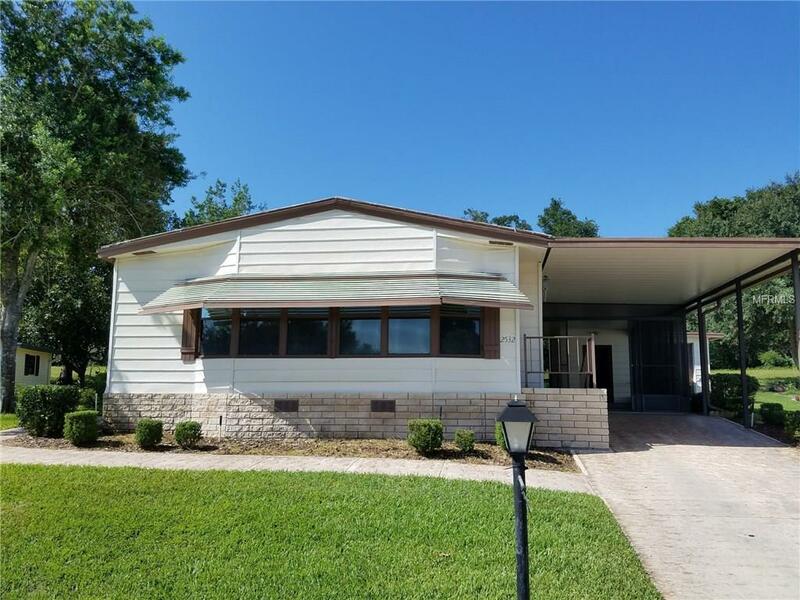 This spacious home is move in ready, located on the greenbelt giving you plenty of privacy and large glass air conditioned sunroom. Formal living room with entire wall of built-ins. Dining area also has built-in china cabinet. Center island kitchen opens to family room. Over sized storage room with additional golf cart garage. Screen lanai under carport. Zellwood Station is located approximately 25 miles north of Orlando. Just 2 miles is the 429 western expressway, which allows for easy access to downtown Orlando, the international airport and all the area attractions. There is grocery, medical facilities and many churches nearby. Free from the traffic of Orlando, but easily accessible to everything a big city has to offer.